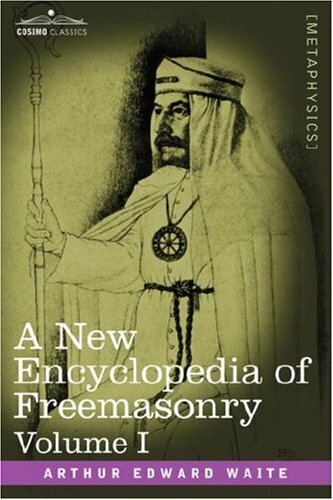 "Secret societies have fascinated those on the outside since the beginning of time, and here, in this extraordinary 1921 work, the mysteries and riddles of one of the most famous¿the Freemasons¿are exhaustively detailed by a preeminent 19th-century expert in esoterica. Complete with all the original illustrations, this two-volume work is an essential reference for anyone enthralled by the secret and the arcane, and will particularly captivate students of our modern conspiracy-theory culture. Volume I covers everything Masonic from A--Acacia: a tree connected to a memorable event in Masonic history, to K--Karl C. F. Krause: a 19th-century German Masonic philosopher, and includes intriguing entries on: Casanova, the Druids, gyptian initiation, the Fugitive Mark, the Holy Grail, the Illuminati, the Kabablistic tradition of Masonry, the Knight of the Brazen Serpent, and much more. American-born British author ARTHUR EDWARD WAITE (1857-1942) was cocreator of the famous 1910 Rider-Waite Tarot deck. Among his numerous books are Devil Worship in France, The Holy Kabbalah, and The Book of Ceremonial Magic."